Sugar Cravings: What Can We Do? Do you think that your current sugary snacks may be making you crave more sugary snacks? This may be the truth for many people. When you eat simple carbohydrates, without protein or fat, hunger may be satisfied but it is usually short term. The energy boost usually wears off quickly leaving you hungry and soon craving more food. According to Dr. Christine Gerbstadt, “our appetite may be hardwired and sweet is the first taste humans prefer from birth.” The feel-good brain chemical, serotonin, is released when carbohydrates are eaten. Sugar is carbohydrate, but so are other foods like whole grains, fruits and vegetables. Sugar also releases endorphins that calm and relax us. This is like a natural high. Americans average about 22 teaspoons of added sugar per day, according to the American Heart Association. The AHA recommends 6 teaspoons for women and 9 for men. So what can we do to tame those cravings and meet these recommendations? Try these tips to get started in the right direction. Eat just a small amount. If you are really craving something have a small amount. Try the fun-size candy bar or the small cookie. Try to stick to 150 calories or less. Combine foods. Try combining the food you are craving with some healthier options. For example, dip a banana in chocolate sauce or add mini chocolate chips to almonds. This way you are still getting some healthy nutrients from the healthy foods. Grab chewing gum. According to nutrition advisor, Dave Grotto, chewing gum has been shown to reduce food cravings. So grab a stick of gum when that feeling for something sweet arises. Reach for some fruit. You get fiber and nutrients along with sweetness when eating fruit. According to addiction specialist Judy Chambers, LCSW, CAS, having foods like nuts, seeds and dried fruits on hand can often help you steer clear of sugary treats. Get moving. When the cravings for sugary foods hit, get up and walk. Taking your mind off the craving can help. Choose quality over quantity. Savor the food you are craving but keep the portion size small. Concentrate on the taste and enjoy it. Incorporating small amounts of those foods we love is not harmful, overindulging can be. Eat regularly. 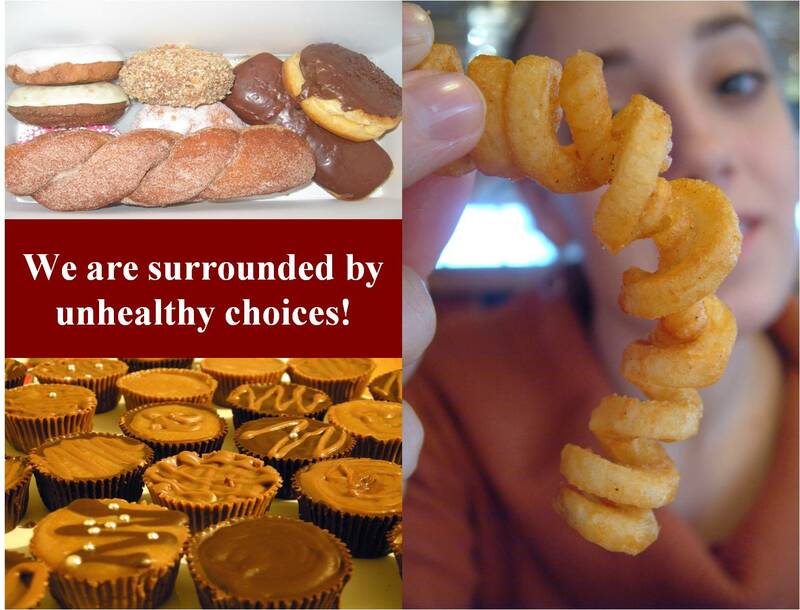 When you wait too long between meals the cravings for high sugar, high fat foods may increase. Eating every three to five hours can help keep blood sugar more stable. By choosing protein, fiber-rich foods like whole grains, vegetables, and fruits, hunger may not be as severe. Reward yourself. When you have successfully managed your cravings, do something for yourself. Soak in the tub, or purchase a new clothing item or decorative item. Support helps. Frequently people turn to sugary foods when stressed, depressed or angry. Sugar will not help emotional situations or issues. Try to figure out the underlying issue and address that without the sugar. Mix it up. It may take more than one strategy to stop sugar cravings. By having a variety of tricks and figuring out what works for you, the chance of success increases. Go easy on yourself! Changing any habit is difficult. Every victory is one step towards a healthier you! Writer: Liz Smith, M.S., R.D., L.D., Program Specialist, SNAP-Ed, Northeast Region, Ohio State University Extension. Reviewer: Cheryl Barber Spires, M.S., R.D., L.D., Program Specialist, SNAP-Ed, West Region, Ohio State University Extension.